art racing has never been so much fun! 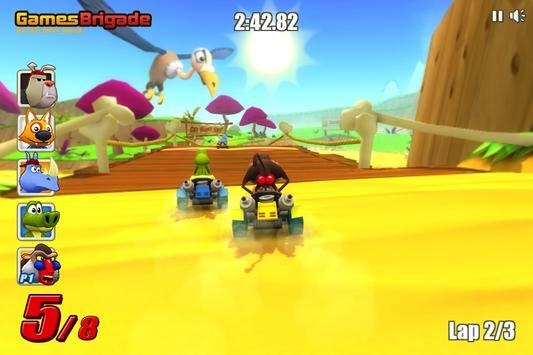 All wacky animals are back and for a crazy kart experience. 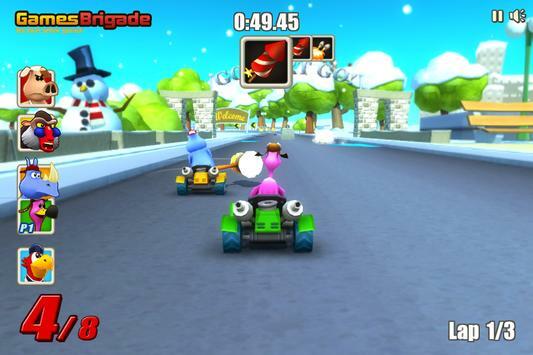 Choose your favorite animal and use your best driving skills. Beat opponents by using new wacky items and try to finish first on every track. 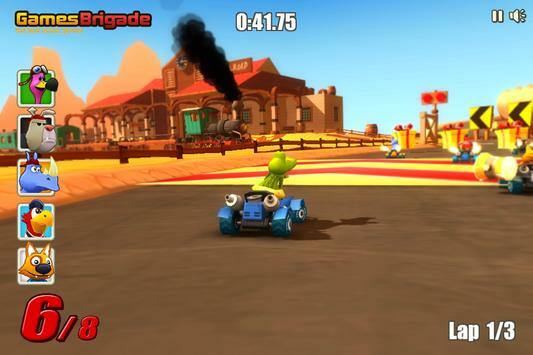 Search for collectables and hidden objects to unlock new tracks and characters. Easy to pick up! Everybody can play this. Lots of awesome items to try out. Steer, drift and race through sharp corners. 9 wacky animals to choose from. Funny animal sounds and thumping soundtracks. 3 brand new tracks and 6 classics! 10 Challenging achievements to unlock! Clean racing fun for the whole family! Go art Go! Ultra! Nitro wasn't nearly fast enough. Please review Go art Go! Ultra! Game and submit your comments below. We will collect all comments in an effort to determine whether the Go art Go! Ultra! app is reliable, perform as expected and deliver the promised features and functionalities.